The Wine Curmudgeon has long supported the independent wine retailer, both here and in the cheap wine book. 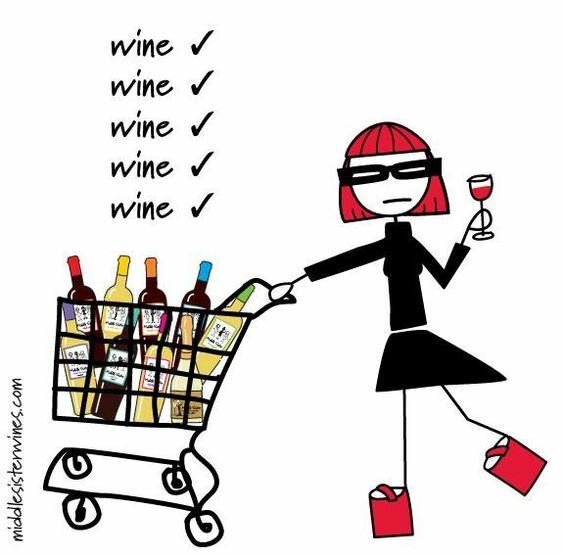 The best independent retailers are the wine drinker’s best friend – someone more concerned about making the customer happy than selling them plonk because it seems like a good idea at the time. In addition, those of us who care about quality and value have fewer and fewer options in a wine world of ever more gigantic producers, ever more massive distributors, and ever more mega retailers. This makes the quality independent wine store more important than ever. • The customer is not your enemy. This seems obvious, but I am always reminded of the pizza restaurant owner I once interviewed. Yes, he said, the pizza business would be a lot of fun if not for the customers – always complaining about tardy deliveries, cold food, and incorrect orders. Retailers, caught up in the day-to-day aggravations of small business, can lose sight of why they’re in business. Once that happens, it’s not too long until you’re as irrelevant as Montgomery Ward. • The employee isn’t your enemy, either. That same pizza operator disliked his employees almost as much as his customers – how dare they ask for a raise or time off? I don’t think it’s a coincidence that the two best independent wine retailers in Dallas respect their employees and are rewarded with minimal turnover and top-notch efforts. • The customer is not stupid. This is an especially irritating 21st century development, in which we’re treated as if we’re sheep ripe for shearing. How else to explain things like World Market’s phony pricing? Treat the customer with the same respect as your employees, and that’s most of the battle. • Sell wine for a reason, not because you think you know best. I wrote a trade magazine story this month, asking long-time wine industry types about their biggest mistakes. One told me that he always goofed up when he thought he knew more than the customer did. This was not necessarily about wine knowledge, he said, but that he thought he knew what they should drink instead of helping them find what they wanted to drink. The best independent retailers always do the latter. • Keep showing why you’re different from everyone else. Walk into any grocery store, regardless of who owns it or where it is, and the wine department looks exactly the same – the same Big Wine labels, the same deceptive pricing, the same stupid shelf talkers promising wine quality that only a marketer could believe in. That’s why there’s room for someone who offers interesting wine af fair prices, and why so many small wine shops continue to thrive. No, this is not the selection at a quality independent retailer. The country’s pre-eminent “natural foods” grocer had two wine displays next to each other last month in a Dallas store. One wine was the kind you’d expect it to carry – Jules Taylor New Zealand sauvignon blanc, a terrific wine and especially for the $15 sale price. Next to it was mass produced schlock, a California chardonnay that uses intensive winemaking to taste sweet and buttery. It was also $15, and I saw the same wine for the same price at Target. If a store that markets itself as carrying only the finest natural, organic, and sustainable products treats wine that way – junk next to excellence, and for the same price — how can we count on any retailer to offer quality and value? 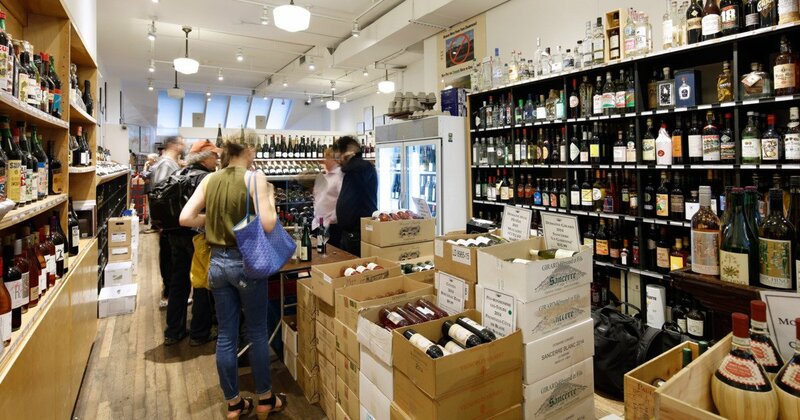 The best independent wine retailers don’t do those things. They won’t sell you something like that chardonnay, where the bottle was probably the most expensive part of the product. In fact, most won’t even have it in their stores. The best independent wine retailers understand that customer service matters, which is why they don’t carry junk. Better to sell you cases and cases of wine over the long term than six bottles of plonk and never see you again. And they price their products fairly, without the come-ons and phony discounts that dominate the marketplace. Right, Cost Plus World Market? 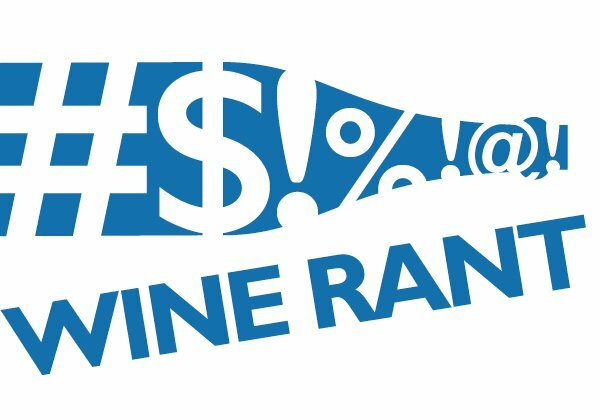 What makes a quality independent wine retailer? • Does the retailer ask questions about your preferences, helping you figure out what you want – red or white, sweet or dry? • Does the retailer let you ask questions? Do you feel comfortable asking those questions? Or do you feel you’re being humored in the way adults humor small children? • Does the retailer answer your questions? Are the answers understandable or in winespeak? And, when you say you don’t understand what he or she means by leathery or oaky, do they explain so you do understand? The best retailers do more than sell wine. They help you find wine that you didn’t know you would like. It’s easy to sell someone something that they already know about. What’s more difficult, and a mark of the best retailers, is to find something new – a Spanish albarino or French picpoul for an Italian pinot grigio, for example, or a fruity rose instead of a white zinfandel. I’m lucky to have two top-notch independents in Dallas, and I have rarely been disappointed. I know if the wine is on their shelves, it’s probably worth buying. And I also know I can ask any question I want, no matter how Wine Curmudgeonly cranky, and I’ll get an intelligent answer. No one will sell me something because it’s on sale or because they get a bonus for selling it. They sell it because they want to make me happy. And when’s the last time we could count on that in the wine business? The Wine Curmudgeon, after suffering through the $3 wine challenge as well as two weeks of cheap wine samples that tasted like alcoholic Big Red soda, needed to buy some quality wine. So I visited a good wine retailer. Why a good wine retailer? Because they may even be more valuable than a terrific bottle of cheap wine. When I went to Pogo’s in Dallas to rescue my palate from all that junk, Lance Storer guided me to what I wanted. He was even able to answer a question about a wine they didn’t carry. They had sampled it, and decided the quality wasn’t up to Pogo standards – which saved me from buying another lousy wine. Not quite what you’ll find at the grocery store’s Great Wall of Wine, is it?. In this, the best retailers are usually independents, who understand the value of customer service. They know it’s their reason for being, and that you’d shop elsewhere if all you cared about was price. Ironically, this is a result of the three-tier system, which has protected the independent retailer from the kind of competition that destroyed local music and book stores. • The best retailers do more than sell wine. They help you find wine that you didn’t know you liked. It’s easy to sell someone something they already know about. 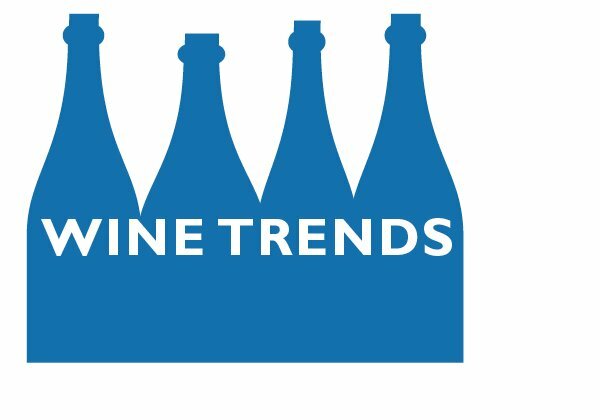 What’s more difficult, and a mark of the best retailers, is to find something new that fits the parameters of wine you already drink – a Spanish albarino or French picpoul for an Italian pinot grigio, for example, or a fruity rose for a white zinfandel. • Does the retailer ask questions about your preferences, helping you figure out what you want – red or white, sweet or dry? 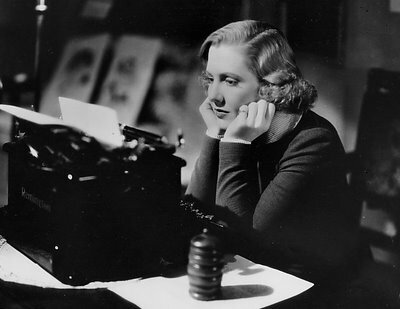 Or do they steer you to something they assume you’ll like because you’re a woman (sweet wine!) or younger (cute label!)? 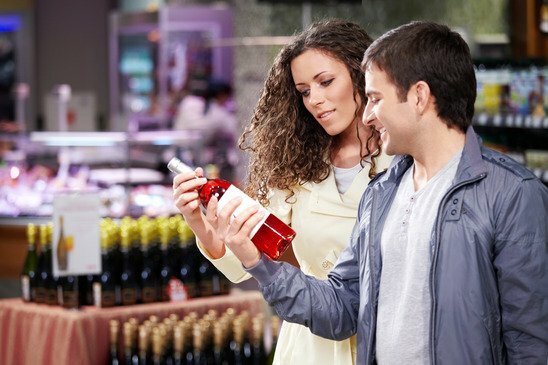 • Does the retailer always seem to recommend wine that is on sale, is displayed at the end of an aisle, or highlighted in some other way – regardless of what you like? 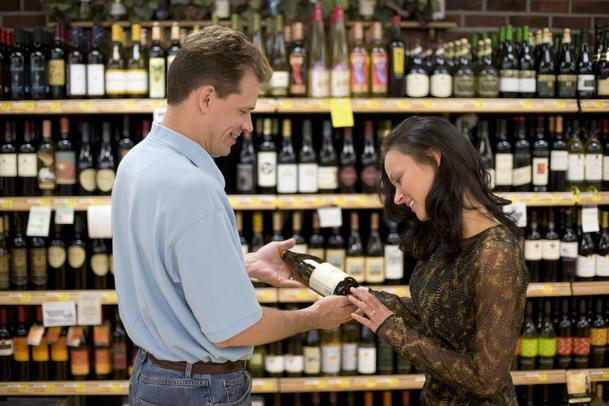 Many bigger retailers offer incentives to their employees if they meet sales goals or quotas on featured wines, and too often, that takes precedence over what the customer wants. • Does the retailer answer your questions? Are the answers understandable or in winespeak? And, when you say you don’t understand what he or she means by leathery or oaky, do they smile and explain what they mean in English? • Pricing dispute: BevMo, the West Coast liquor chain, has accused Total Wine of unfair advertising. It claimed that the latter’s ad campaign — “Don’t Paymo at BevMo” – that said BevMo’s prices were higher than Total’s wasn’t true. BevMo brought its complaint to the National Advertising Division, a self-regulatory group set up by the ad business. Total declined to participate in the process, which it is allowed to do. What’s interesting here is that Total, which seems to spend as much time courtrooms as Perry Mason, wasn’t worried by the challenge, which was made by one of the biggest regional chains in the country. • Pricing dispute II: Total has also run afoul of the Massachusetts liquor cops, who have accused it of violating the state’s minimum pricing laws. The chain has sued the Alcoholic Beverages Control Commission for briefly suspending the licenses of two Total stores for allegedly selling vodka, rum, and other booze for $1 to $6 below cost. In the Total suit, the company said it assumes that local retailers turned the chain in to the state because they didn’t want to compete on price. 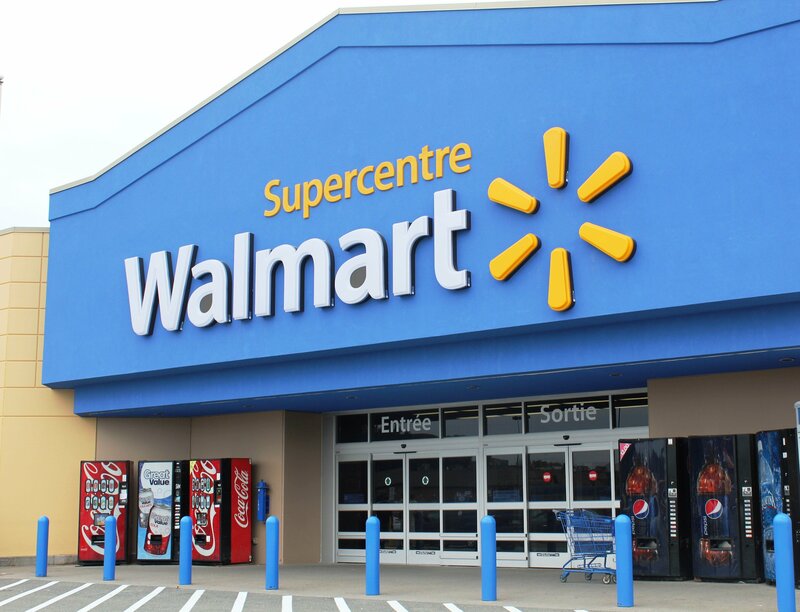 • Election dispute: How deep are Walmart’s pockets? The retailer spent more than $4.8 million that helped pass a ballot measure to allow wine sales in Oklahoma grocery stores. That was some 90 percent of the money raised by the group supporting grocery store wine sales. And, because this is about booze sales, the results of the election have ended up in federal court. The state’s retail liquor trade group claims the measure is unconstitutional and wants it voided. • Points are bad enough, but they’re despicable when they’re so obviously fake. A Dallas mom and pop had an $11 rose from France that I had never heard of – Rose of Scarlet, complete with a Gone with the Wind style front label. Is this dry, I asked? Yes, I was told. It got 92 points. But really dry (because why would anyone put that label on the wine if it was any good)? Yes, I was told. It got 92 points. Of course, the wine tasted like a bottle of French rose with a Gone with the Wind style front label – not really dry, without much rose freshness, and way too much fruit. If it got 92 points, the score came from the winemaker’s mother. • Premiumization run amok. A couple of years ago, I bought a bottle of the 2013 Spy Valley riesling from New Zealand at a prominent Dallas retailer for $16. Over the weekend, it was $18 at the same retailer. The wine has not necessarily improved with age, but it cost $2 more? And why was the store selling an out-of-date riesling for the same price as the 2014, which was next to it on the shelf? • Trader Joe’s wine continues to baffle me. Its prices on national brands are a couple of dollars more than other retailers in Dallas, and buying its private label stuff is a crapshoot. Most of it is cheap and tastes that way, and I’ve bought just one wine in 15 years that was worth what it cost. How so many of my colleagues can rave about its wines baffles me. 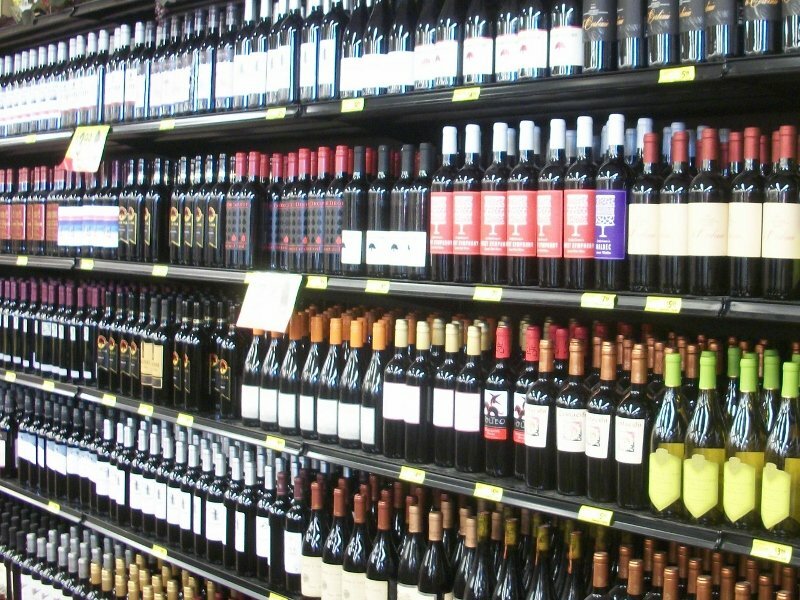 And the Texas section consisted of one wine stuck in the lower left hand corner of the shelf, and it wasn’t even technically Texas wine – it was a dreaded for sale in Texas only. • Beware wine vintage skulduggery! 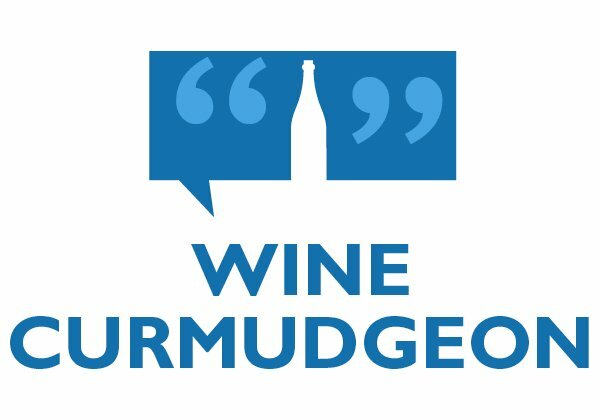 The Wine Curmudgeon embarrassed himself on Saturday, but it was for a good cause. 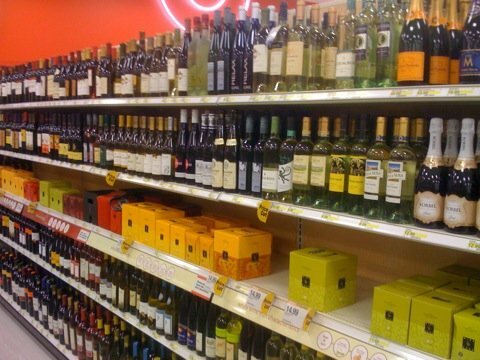 A 20-something woman was buying wine at one of Dallas biggest retailers on Saturday, trying to make sense of what was on the shelves in the rose section. Fortunately for her (or not, as the case may be), I was nearby, talking to one of the store’s employees. The result? A lesson in wine education. And why not? The woman needed wine for a coed baby shower, and she left the store with a dozen bottles – six roses, three reds, and three whites, all around $10. I’m not sure who was happier, the woman because she got lots of great wine without paying too much, or me because she was open, eager, and willing to do something besides buy more premiumized California chardonnay. Yes, I made suggestions (and kept apologizing because I didn’t want to get in the employee’s way), and yes, she bought WC favorites Texas rose and Gascon white. Mostly, though, I was curious about what the woman wanted to do, part of my fascination about how consumers buy wine. The Winestream Media could care less about that; it’s too busy telling us what to buy without consideration of price or palate. Big Wine does focus groups to find out what kind of wine we want to drink, but that’s different from the actual buying process. And she wanted to learn. She wanted to know what she could buy that would make the group happy, taste good, and not cost too much money. And when the employee found her those wines, she was eager to try them – so eager, in fact, that she was planning a taste comparison between the Texas and French roses. This is what happens when you talk to consumers instead of talking down to them and when you find out what they like instead of trying to confuse them so they’ll buy something that you want to sell them. And the three of us had a laugh when the woman said the “real” wine drinkers in the group were bringing their own bottles to the shower. Which means they’ll miss drinking some great, cheap wine. Finally, my thanks to the employee, and not just because he didn’t throw me out of the store. He was everything a great wine sales type should be – he was enthusiastic, knowledgeable, and respected the customer’s wishes. This contrasts with a dreadful experience I had the day before at another retailer, where I was treated rudely because I was confused by the pricing, where the same employee led another customer on a winespeak merry-go-round to sell her junk she didn’t need as I was walking out the store. 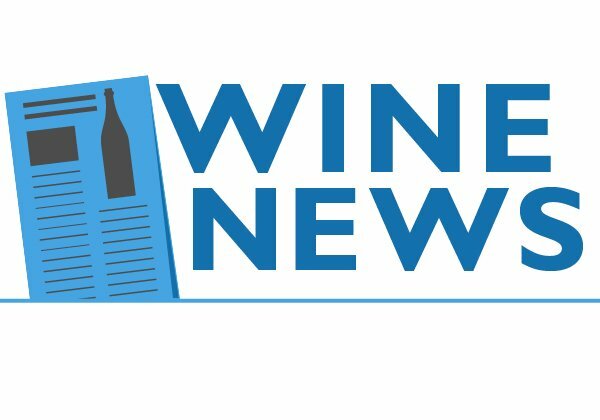 This week’s wine news: The feds go after unscrupulous bloggers, wine retailer speak, and bootleg liquor. • Transparency is all: The Federal Trade Commission has decided that “consumers have the right to know when they’re looking at paid advertising” when they’re on-line; hence, crackdowns on marketers who don’t tell us when they’re paying for content. Two cases in the past year, in which the Lord & Taylor department store and film studio Warner Bros. settled with the commission over unscrupulous practices, apparently mean the feds are serious. The Warner case was particularly egregious, reports clickz.com: “Warner Bros. gave the influencers advance copies of [a] game and paid them anywhere from hundreds to tens of thousands of dollars each to promote the game to their followers with specific instructions, including ‘not to disclose any bugs or glitches they found.’ ” At least we’re not that bad in the wine business. I think. 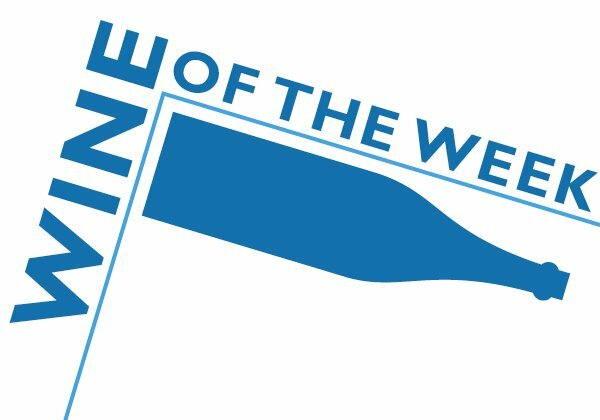 • Retailer-speak: One of the difficulties with buying wine is that many of the the people who sell it have a completely different view of wine than consumers do. We worry about price and quality, and they care about almost everything but that. This interview, with an official at Florida’s ABC Fine Wine & Spirits, is a good example. It’s almost technical in its complexity, and the average consumer probably won’t be able to make much sense of it. But that’s how retailers think, and it’s not about what we want to buy. • Deadly booze: Almost three dozen people have died in India over the past couple of weeks from drinking toxic liquor they bought from a local retailer. The retailer, who was arrested, was selling the booze at one-sixth the price of a name brand; some two billion liters of bootleg alcohol are sold in India every year, compared to less than three billion liters of legal liquor. In addition, 11 officials, including seven policemen, were suspended for for allowing the booze to be sold.